Settling down at the Odeon to watch the latest instalment of intergalactic soap opera Star Wars you’d be forgiven for worrying the franchise might have sold its soul. Precursory adverts saw Star War’s famous logo plastered all over them; Subway, Mac makeup, and Duracell to name a few. In fact, it would have been easier to list all the companies who hadn’t tenuously tied themselves to lightsabres and Wookies. Despite its errors, the millennium Star Wars trilogy was written and directed by the original Jedi Master George Lucas, however this time round Lucas has bequeathed his legacy to Disney and J. J. Abrams. With such a change in stewardship the major concerns would always be whether The Force Awakens could be true to its original premise and exist beyond an exercise in recouping Disney’s $4.05 billion acquisition of Lucasfilm. As tends to be the case, The Force Awakens is neither a venture into the Dark Side, nor a triumphant return to the Light Side for Star Wars. In somewhat of a paradox, The Force Awakens stays so true to itself that it lapses into a straightforward rehashing of events, themes and narratives we’ve all seen before. Many fans were unimpressed with Lucas’ Episodes I, II and III, for them The Force Awakens will be a much welcome return to the world first envisioned in 1977’s A New Hope. As we’re so often told, the draw of the Force is strong, however based on The Force Awakens the draw of nostalgia is even greater. The Force Awakens is the next chronological installment in the series, picking up where Return of the Jedi (1983) left off. Via the preferred medium of a big gold scrolling prologue, accompanied by John Williams booming theme, we’re told that following on from the fall of the Empire and the destruction of the Death Star everything has gone wrong. The Empire is back under the guise of the First Order and Luke Skywaker has gone AWOL. Essentially we’re back to square one – the Resistance against the Empire. Good versus Evil is the central dynamic of Star Wars, but it’s how this battle plays out which is the important narrative point. This is where a rather unsubtle familiarity comes in. In the briefest of terms we’ve got a burgeoning Jedi living on a desert planet, a good/evil father/son dynamic, the need to find a Jedi Master living in exile, along with bad guys typified by a black wardrobe, English accents and a planet sized base. Am I describing The Force Awakens or A New Hope? Inarguably we’re treading old ground here. There’s a fine line between warm homage and predictable reusing, a line which The Force Awakens struggles with narratively. Saying that, bringing the franchise back to its origins provides some of the film’s most wonderful moments. Original cast members Harrison Ford, Carrie Fisher and Mark Hamell are all a welcome return. 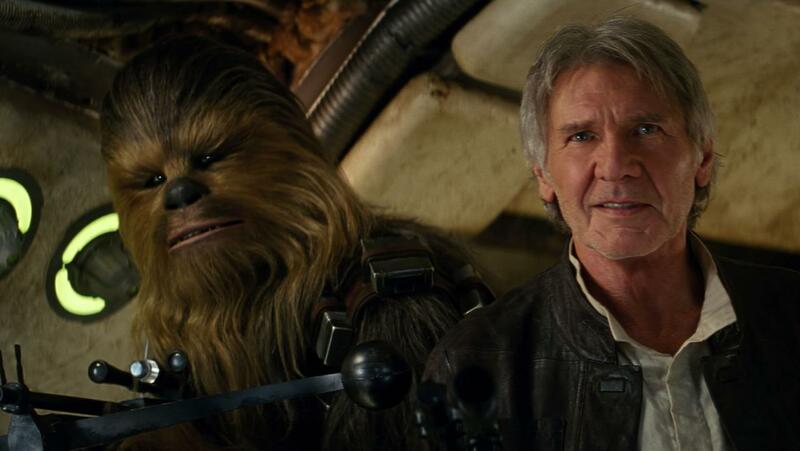 Ford as Han Solo is once again a pivotal performer, especially in light of the cast of youthful upstarts. Ford’s looks may have vanished, but his cavalier effervesce shines and he remains a top draw throughout. Seeing other old faces like Chewbacca, R2 – D2 and Admiral Akbar only adds to that tingling, childlike excitement that Star Wars is truly back. Stylistically Abrams has followed the original films timeless appeal. There’s a conscious effort to limit the CGI on show with a majority of the action crafted in live action and prosthetics rather than green screen post productions. Additionally, classic franchise tropes like John Williams all-encompassing score and wipe scene transitions all contribute to that unique Star Wars aesthetic. If you loved the original Star Wars trilogy than you’ll feel that familiar rush of excitement and wonder every time Chewbacca roars, a Tie Fighter wizzes past or the narrative steps into a cosmopolitan cantina. 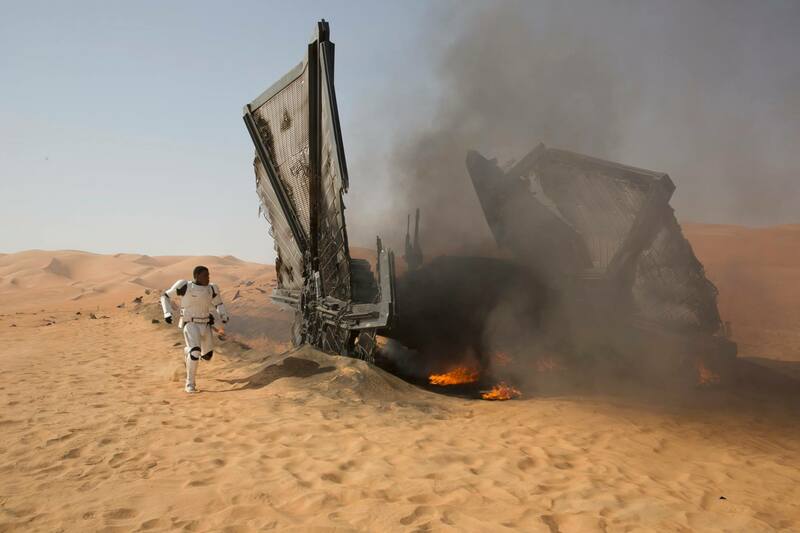 Abrams, with the help of cinematographer Daniel Mindel and his breath-taking vision, brings the Star Wars universe alive. More often than not it’s these small, extraneous, often background, details that most boldly evoke the immersive experience of Star Wars. 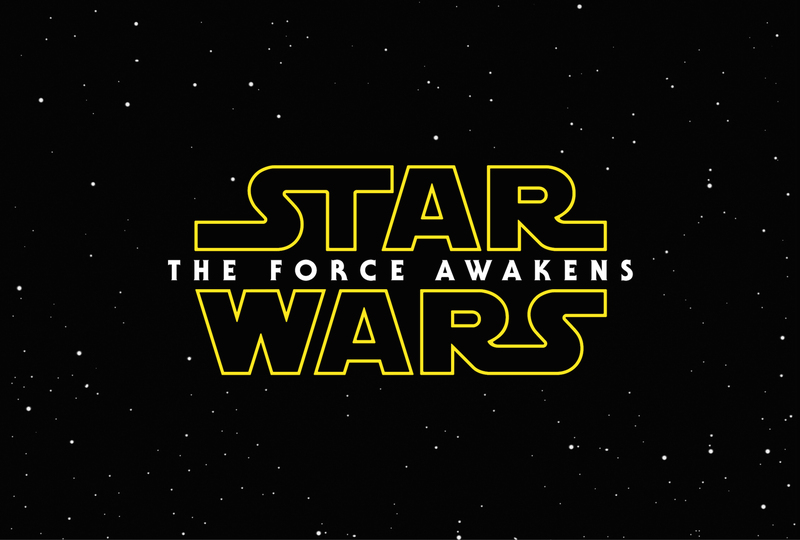 Where The Force Awakens deviates from the tried and tested is in its ensemble cast of promising new actors. The two most prominent additions are Finn and Rey, played by John Boyega and Daisy Ridley respectively. Ultimately The Force Awakens is about the duo and how they’ve been plucked by fate to play a pivotal role in saving the galaxy. Boyega’s Finn is a far more likeable character, aided by his air of befuddlement and comic timing, than Rey who comes across as wooden and smarmy as if mentored by Kiera Knightly. In tandem they work well together, bouncing off each other’s distinct traits, which bodes well for their ability to carry the latest trilogy. On the other side of the Force is new Sith Kylo Ren (Adam Driver). In contrast to the senior villains of the past like Darth Vader, Darth Maul and Count Dooku, Ren is a petulant young man with obvious flaws and weaknesses. He certainly isn’t the alarming presence that those latterly mentioned giants are, but there’s room to develop his character which wasn’t possible with the others and their concrete, fully formed, personas. One of the film’s most exciting additions is the ever dependable Oscar Isaac who charms as resistance pilot Poe Dameron. It’s only a small role, but Isaac, being the excellent actor that he is, leaves perhaps the greatest mark of the film’s new cast. Hopefully the next episode affords him greater screen time. Isaac’s Ex Machina co-star Domhnall Gleeson stands out as a bizarre piece of miscasting. Gleeson’s role as General Hux, ruthless military general of the First Order, is totally at odds with his usually meek demeanour and he completely fails to convince. 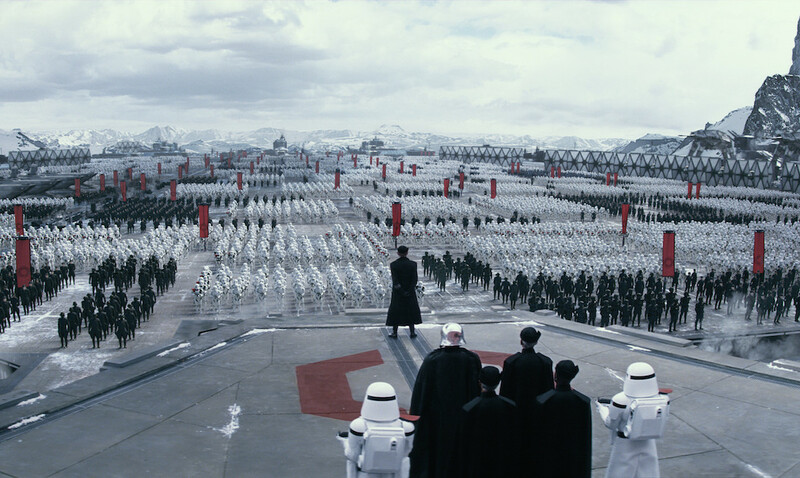 With any new addition to the Star Wars legacy comes a Death Star sized weight of expectation. Star Wars fans are a particularly frenzied and devoted bunch, and it feels as if Abrams has flouted innovation in order to appease the masses. Lucas, the series creator, got a hard time with his change in direction with The Phantom Menace and it seems Abrams has taken the safe option in fear of receiving similar criticism. There are new characters galore in The Forec Awakens, but sadly the story they are tied to is trapped in the past with A New Hope. No doubt The Force Awakens unfolds as classic Star Wars – a sweeping epic with action, heart and spectacle – however, let’s hope that Episode VIII is a galaxy far far away from The Empire Strikes Back.